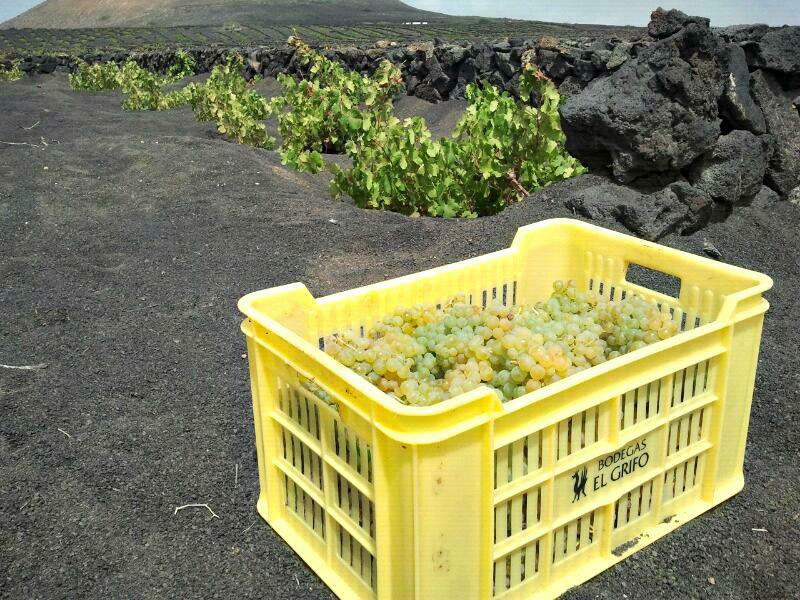 Rivalling Tenerife in terms of calibre of wine produced, Lanzarote boasts a proud history of viniculture. You'll find the majority of wineries in the centre of the island; in La Geria. Here, in our humble opinion and in no particular order, are the best bodegas to visit on Lanzarote. Introducing Bodega Vulcano de Lanzarote. Volcanic by name and, indeed, by nature. One of the youngest wineries on the island, this Tías bodega dates back to 2009. 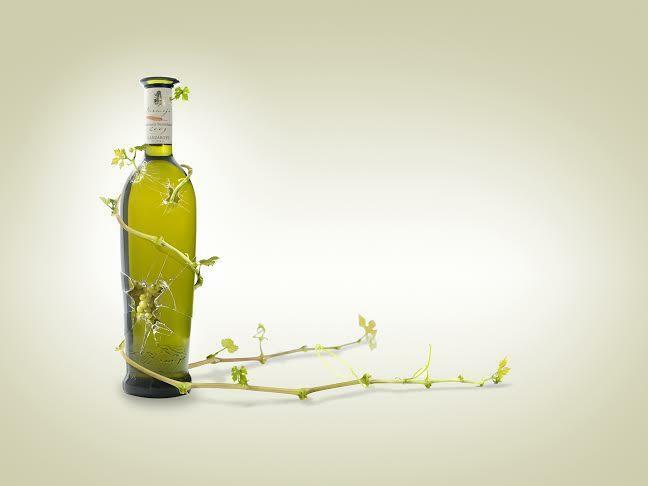 Unlike other wineries across the Canary Islands, production goes on throughout the year. Although there's an emphasis on quality over quantity. Meaning that a maximum of 50,000 bottles are available for sale each year. 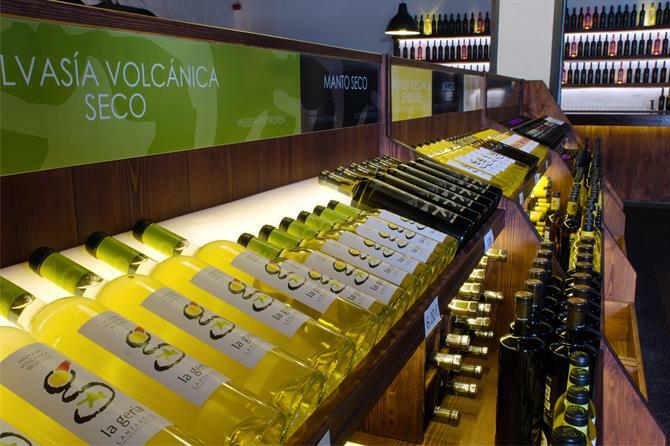 This boutique bodega produces five different labels: Vulcano de Lanzarote Malvasía Volcánica Seco (dry), Malvasía Volcánica Semidulce (semi-sweet), Rosado (rosé), Tinto Joven (young red), and Vulcano Dolce Moscatel (dessert wine). You can sample them on site or accompanying your meal in the majority of Lanzarote's restaurants. This boutique winery's open Monday from Friday from 9:00am to 2:00pm, and there's wine tasting accompanied by superior nibbles every Friday at 7:30pm. From one extreme to the other. If Bodega Vulcano de Lanzarote's the junior partner in the Lanzarote wine industry, Bodegas El Grifo's very much the old hand. Founded in 1775, this family winery was the first to be established on the Canary Islands and one of the ten most ancient in the whole of Spain. And Lanzarote being such a small island, it's also easy to get to. 20 minutes from the airport, three kilometres separate the bodega from the Monumento al Campesino. To reach Bodegas El Grifo, head out on the LZ-30 in the direction of Uga. 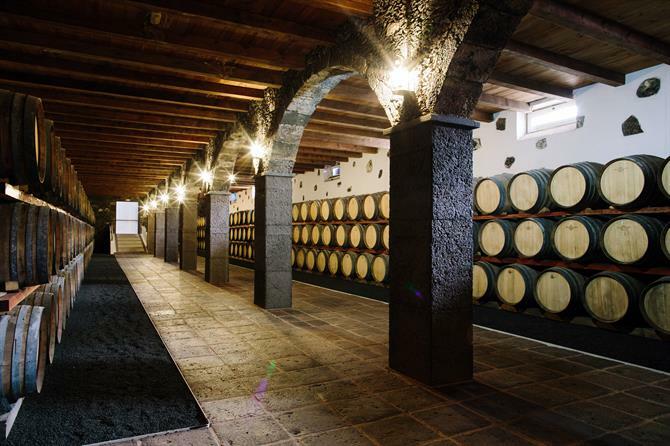 This La Geria complex houses a vineyard totalling more than 60 hectares, a museum, and a warehouse capable of storing 1.2 millon litres of vintage vino. The museum's open from 10:30am to 6:30pm every day (including public holidays). Guided visits take place Monday through to Sunday at 11.00am, 1:00pm, 4:00pm, and 5:00pm. Included in this is a tour of the museum and the volcanic vineyard before the opportunity arises to sample the bodega's prize-winning wines. You'll need to book this visit in advance and it costs 6€ per person. Located in Lanzarote's main wine region from which it takes its name, Bodega La Geria's one of the most visited wineries in Spain. The pictured stone walls, los zocos, protect the vines from the area's prevailing wind. Vines planted in holes excavated in the island’s volcanic rock, which are then refilled with picon, volcanic ash, to trap the morning dew and conserve the underlying soil's sponginess. Late July, but an early date for the rest of Europe, sees the harvest begin. Grapes are picked by hand as the area's tricky terrain makes the use of machinery impossible. Little wonder camels were originally used to transport the crop, given the fact they're perfectly suited to walk on this type of ground. Bodega La Geria's open to the public Monday to Sunday from 9:30am to 7:00pm. You can reserve a guided tour starting at 1:00pm Monday to Friday by phoning (0034) 928 173 178 or emailing bodega@lageria.com, at a price of €8 per person. The winery's restaurant opens Monday to Sunday from 10:00am to 5:30pm. 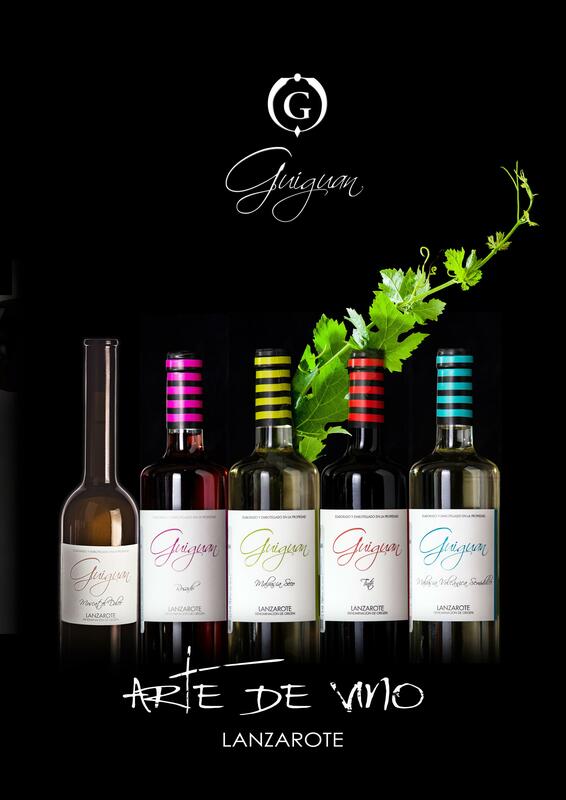 Contact Bodegas Guigan in advance to arrange a visit to this Tinajo winery. Very much a family bodega, the Pacheco Quintero brothers run the winery their parents established back in 1948. Taking its name from the local caldera, a cauldron-shaped landmass collapsed by volcanic activity, this bodega's wines range from the lychee-tasting dry white to the raspberryesque traditional red. Enjoy the views at Bodegas Guigan. For the winery's situated next to the mirador constructed by the local authorities. This lookout honours the area's lady in black, the mysterious figure said to appear to a young shepherdess on the slopes of the caldera. The year was 1774. The shepherdess was nine-year Juana Rafaela. The young girl told her family that the apparation insisted that locals honour their pledge to build a hermitage dedicated to the virgin, Our Lady of Sorrows, in recognition of her stopping the flow of lava during the last volcanic eruption. 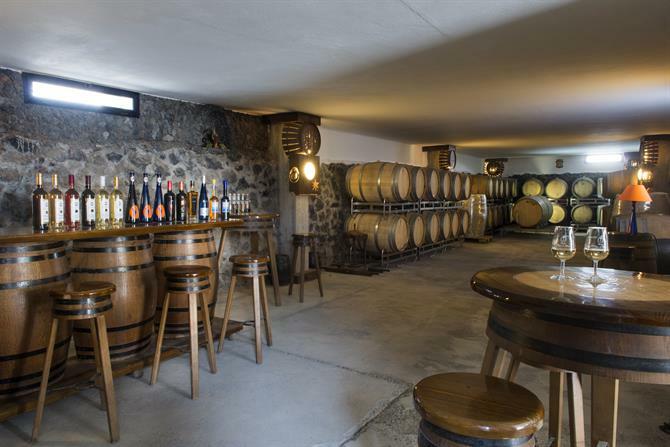 Combining the newest technology with a vineyard dating back three centuries, Bodegas Rubicon offer visitors a free, open-house entry to their Yaiza winery. So, you'll be able to visit the barrel, exhibition, and tasting rooms, along with the old family home. Larger groups can get in touch with the bodega in advance to arrange a guided visit. 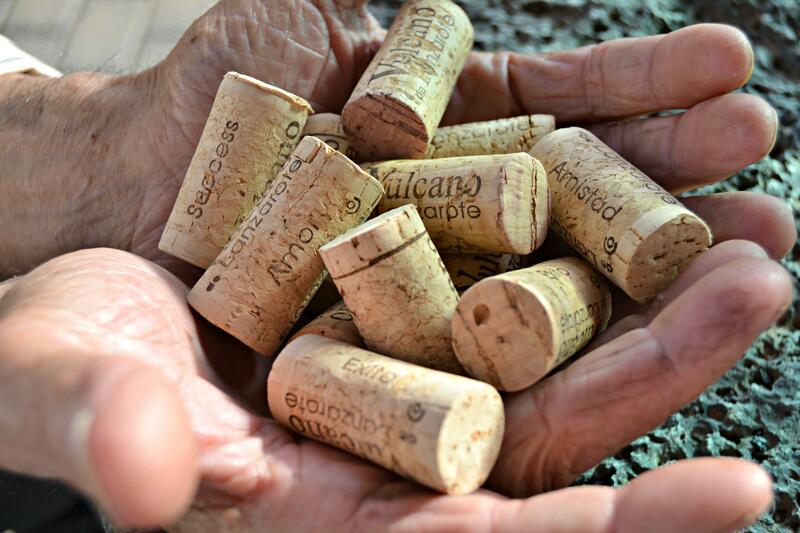 Sample the internationally-renowned Rubicon wines in the bodega's cellar. You can also enjoy tapas in the winery's restaurant, open daily from 10:00am to 11:00pm (except Wednesday when it closes at 8:00pm). Enjoying views over La Geria and the alien landscape of the legendary Timanyfaya National Park. Another of the newer wineries on Lanzarote, Bodegas Vega de Yuco dates back to 1997. Situated on the grounds of a family finca in Masdache, its hillside location also houses a botanic garden. Here grows 60 varieties of flora endemic to the island. Off the tourist map, tours of this winery are by appointment only. Although, the shop is open to drop-in visitors. The bodega's a deliberate low-yield operation, with production not exceeding 200,000 bottles each year. What it lacks in numbers, however, it makes up for in drinkability. In common with the other wineries on the Canaries, Vega de Yuco wines are unique to the islands. And that's largely down to the Canary Islands' isolated position. For in the 1850s, a North American insect, the grape phylloxera, crossed over the Atlantic and annihilated 40% of French grape vines over a 15-year period, in the process endangering every European vine. Except those in the Canaries where the likes of Malvasía and Listán Blanco survive right up to this very day. Despite opening as recently as 2001, a typical Canarian 18th-century property belonging to one of Lanzarote's most important families houses Bodega Los Bermejos. Contact the La Florida winery, located slightly north east of El Grifo, in advance of your visit. This bodega's opening hours are from Monday to Friday, 7:30am to 3:30pm. Before vines, sugar cane was Lanzarote's cash crop. Then the popularity with the British royal family led to a surge of exports to the UK of Canarian wine. That tailed off quite some time ago, but considering the growing esteem in which wines from these islands is held; perhaps they're about to make a return?